One of rock's most underrated guitarists (both from a technical and compositional point of view), Gary Moore remains relatively unknown in the U.S., while his solo work has brought him substantial acclaim and commercial success in most other parts of the world — especially in Europe. Born on April 4, 1952 in Belfast, Ireland, Moore became interested in guitar during the '60s, upon discovering such blues-rock masters as Eric Clapton, Jimi Hendrix, and perhaps his biggest influence of all, Fleetwood Mac's Peter Green. After relocating to Dublin later in the decade, Moore joined a local rock group called Skid Row, which featured a young singer by the name of Phil Lynott, who would soon after leave the group to double up on bass and form Thin Lizzy. Skid Row persevered however, eventually opening a show for Moore's hero, Peter Green/Fleetwood Mac, and making such an impression on the veteran group, that Green personally requested their manager help secure Skid Row a recording contract with CBS (in addition, Green sold Moore one of his most-used guitars, a maple 1959 Gibson Les Paul Standard, which would become Moore's primary instrument). Skid Row would go on to issue several singles and albums (including 1970's Skid and 1971's 34 Hours), and although the group mounted a few tours of Europe and the U.S., failed to obtain breakthrough commercial success, leading to Moore's exit from the group in 1972. Moore then formed his own outfit, the Gary Moore Band (along with members drummer Pearse Kelly and bassist John Curtis), for which the guitarist also served as vocalist. But after the trio's debut album, 1973's Grinding Stone, sunk without a trace, Moore hooked up once more with ex-bandmate Lynott in Thin Lizzy. 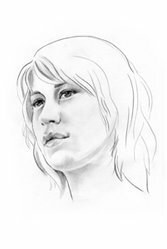 Moore's initial tenure in Lizzy proved to be short-lived however, as his fiery playing was featured on only a handful of tracks. Moore then set his sights on studio work (appearing on Eddie Howell's 1975 release, Gramaphone Record), before joining up with a prog-rock/fusion outfit, Coliseum II. But once more, Moore's tenure in his latest outfit was fleeting; he appeared on only three recordings (1976's Strange New Flesh, plus a pair in 1977, Electric Savage and War Dance), as Moore accepted an invitation by his old buddy Lynott to fill in for a Thin Lizzy U.S. tour, playing arenas opening for Queen. 1978 proved to be a busy year for Moore, as the guitarist appeared on three other artist's recordings — Andrew Lloyd Webber's Variations, Rod Argent's Moving Home, and Gary Boyle's Electric Glide. The same year, Moore issued his second solo release (almost five years after his solo debut), Back on the Streets, which spawned a surprise Top Ten U.K. hit in May of 1979, the bluesy ballad "Parisienne Walkways," and featured vocal contributions by Lynott. Moore joined forces with his Lizzy mates once more in 1979, appearing on arguably the finest studio album of their career, Black Rose, which proved to be a huge hit in the U.K. (for a fine example of Moore's exceptional guitar skills, check out the album's epic title track). But predictably, Moore ultimately exited the group once more (this time right in the middle of a U.S. tour), as a rift had developed between Moore and Lynott. Undeterred, Moore lent some guitar work to drummer Cozy Powell's solo release, Over the Top, in addition to forming a new outfit, G Force, which would only remain together for a lone self-titled release in 1980. During the early '80s, Moore united with former ELP guitarist/bassist/singer Greg Lake, appearing on a pair of Lake solo releases (1981's self-titled release and 1983's Manoeuvres), in addition to guesting on another Cozy Powell solo release, Octopuss. But it was also during the '80s that Moore finally got serious with his solo career — issuing such heavy metal-based works as 1982's Corridors of Power, 1983's Victims of the Future, 1984's Dirty Fingers and the in-concert set We Want Moore!, 1985's Run for Cover, 1987's Wild Frontier, plus 1989's After the War — establishing a large following in Europe, despite remaining virtually unknown Stateside. But the decade wasn't all rosy for Moore however — although he was able to patch up his friendship with Phil Lynott (appearing with Lizzy for several tracks on Life/Live, and teaming with Lynott for a pair of tracks in 1985, "Military Man" and "Out in the Fields," the latter a U.K. hit), years of hard living finally caught up with Lynott, leading to his passing in January of 1986. Moore would subsequently dedicate Wild Frontier to Lynott, and honored Thin Lizzy's former front man on the track "Blood of Emeralds" (from After the War). Fed up with the pressure to pen hit singles and tired of his metallic musical direction, Moore returned to his blues roots for 1990's Still Got the Blues, the most renowned and best-selling release of his career, as the album featured such special guests as Albert Collins, Albert King, and George Harrison. Moore continued in his newly rediscovered blues style on such subsequent releases as 1992's After Hours and 1993's Blues Alive, before forming the short-lived super group BBM, along with Cream's former rhythm section — bassist Jack Bruce and drummer Ginger Baker — which lasted for a single album, 1994's Around the Next Dream. Up next for Moore was a tribute album for Peter Green, 1995's Blues for Greeny, which saw him put his own personal stamp on 11 tracks either penned or performed at some point by Green. Moore experimented with different musical styles on his next two solo releases, 1997's Dark Days in Paradise and 1999's A Different Beat, before embracing the blues once more on his first release of the 21st century, 2001's Back to the Blues. 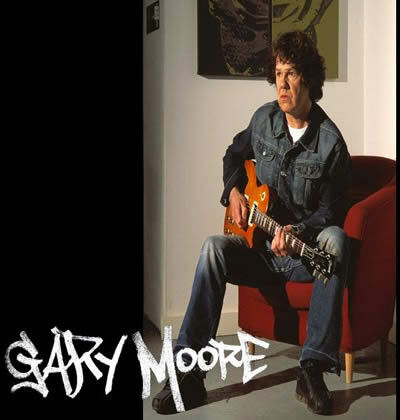 Over the years, Gary Moore has been the subject of countless compilations, the best of the bunch being 1998's metal-oriented Collection and 2002's blues-based Best of the Blues, as well as Out in the Fields: The Very Best of Gary Moore, which was split 50/50 between his metal and blues excursions. Teaming with Skunk Anansie bassist Cass Lewis and Primal Fear drummer Darrin Mooney, Moore started work on much harder and alternative-influenced rock in the spring of 2002 and released the results as Scars.